Cinema is a tool for social and political transformation. That's why DMovies' first film production denounces the coup d'état in Brazil, and the role of the Brazilian media (particularly TV Globo) in destroying democracy in Latin America. This one has been in the oven for a year, and it’s now beginning to happen! DMovies is supporting its first filmmaking project, a documentary about the reactionary and anti-democratic developments in Brazil in the past few years, and the enthusiastic support of TV Globo (the largest media conglomerate in the continent). The movie will be called The Coup d’État Factory. You too can support the project by clicking here. The world needs to find out about TV Globo’s dirty game! 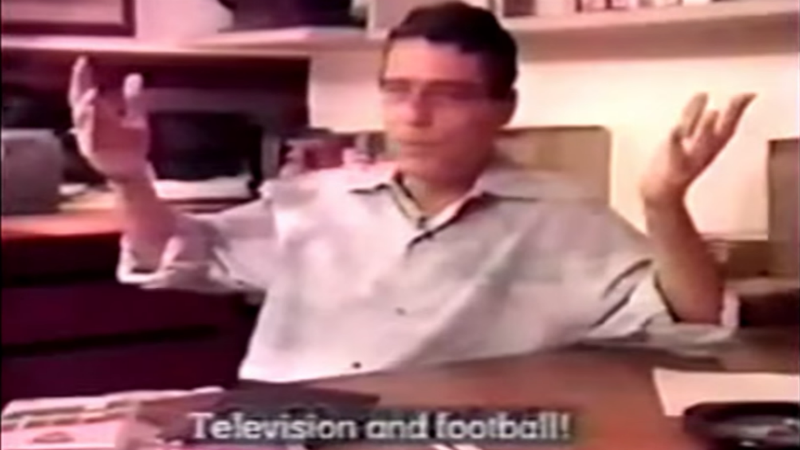 In 1993 the British Channel 4 produced the emblematic documentary Brazil Beyond Citizen Kane, which denounced the anti-democratic and manipulative tactics of TV Globo, the largest television and media conglomerate of Brazil. Now two Brazilian journalists based in London, Victor Fraga and Valnei Nunes, decided to give continuity to the 1993 movie, establishing a dialogue between the past and the present. 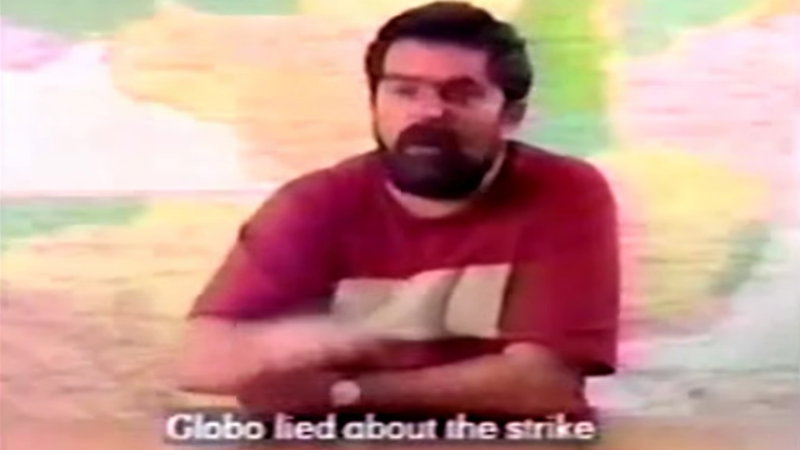 The new film, which will be called The Coup d’État Factory will reveal that TV Globo has hardly changed throughout the decades, retaining its highly biased and unethical journalistic practices, aligned with the interests of large capitalists. The new documentary The Coup d’État Factory will have a duration of approximately 75 minutes, and it will establish a dialogue between the past and the present. It will include footage from its predecessor Brazil Beyond Citizen Kane, as well as images collected in the past couple of years (mostly with the support with alternative of Brazil). Brand new and exclusive interviews will represent the most important pillar of the movie. Interviews already confirmed or in the process of being requested include: elected president Dilma Rousseff, former president Luís Inácio Lula da Silva, senator Roberto Requião, congressman Jean Wyllys, congresswoman Benedita da Silva, senator Gleisi Hoffman, music composer Chico Buarque, British-Australian Human Rights Lawyer Geoffrey Robertson, artist and activist Brian Eno, British MP George Galloway, writer Naomi Klein, lawyers Cristiano e Valeska Martins, producer of Brazil Beyond Citizen Kane and media professor John Ellis, city councillor Leonel Brizola Neto, homeless activist Carmen Silva Ferreira, political commentator Breno Altman, journalist and former Globo presenter Paulo Henrique Amorim, and many other politicians, activists and intellectual from Brazil and beyond, as well as members of the public (Globo viewers). The movie will feature an original soundtrack including artists engaged in the fight against the deeply reactionary events taking place in Brazil. They include Naked Universe and Muntchako (already featured in the crowfunding teaser above). We are currently having a conversation with artists such as Linn da Quebrada, Dagruta, L_cio & Boratto and Chico Buarque, amongst others. The film will be partially funded through a crowdfunding effort. Just click here in order to support our campaign. The platform is in Portuguese, but all the material has been translated into English, just scroll down in the “sobre” (“about”) section and please make a donation! * The images in this article are from the 1993 documentary Brazil Beyond Citizen Kane, except for the one at the top which is owned by Stuckert (it is an aerial shot of Lula being protected by crowds as he hands himself in following an illegal arrest warrant).